Want to know best practices for driving business outcomes through Salesforce? To build on last year's momentum, we commissioned the 2nd Annual State of AppExchange Partners Report deriving insights from more than 100 senior-level executives currently on the AppExchange. Understand how your company compares, and learn proven strategies for success in the Salesforce ecosystem. For insights on these focus areas, get your copy now. 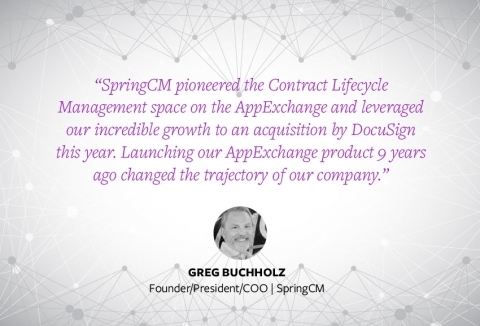 Why are more companies choosing to develop for the AppExchange? Why do leading executives prioritize the Salesforce ecosystem to fuel growth? How are companies leveraging the Salesforce channel to drive leads and revenue? What are some common challenges AppExchange Partners face today?